On 29 January 2016 the Office of Culture and the Office of the Creative Europe Desk MEDIA Turin Italy – MiBACT will be in Trento for a Infoday on Creative Europe , organized in collaboration with Trentino Film Commission and the Autonomous Province of Trento. The event is from 8:30 to 12 : 30 at the Green Room of the headquarters of Trentino Marketing SpA Via Romagnosi 11 . After the welcome , Marzia Santone , Project Officer of the Creative Europe Desk Italy – Culture Office – MiBACT , will present the Sub – Culture Programme , focusing on European cooperation projects and the upcoming deadlines of 2016 will be followed by Sarah Bellinazzi , Project Assistant of the Creative Europe Desk Italy – Office MEDIA Torino – Istituto Luce Cinecitta, which will introduce the opportunities of the Sub – fund MEDIA Programme , focusing on support to producers. Creative Europe framework program is EUR 1.46 billion devoted to the sector cultural and creative for 2014-2020 , composed of the Sub- Culture , the MEDIA sub-program and by a cross- section. Creative Europe finances : transnational cooperation projects between organizations cultural and creative inside and outside the EU ; networks that help cultural sectors and creative to operate transnationally and strengthen their competitiveness ; translation and promotion of literary works through the EU markets ; platform operators cultural that promote emerging artists and stimulating programming essentially European cultural and artistic works ; development of works of fiction , of animation, creative documentaries and video games ; markets of cinema and audiovisual ; the training of professionals ; distribution and promotion of European works ; festival; funds for the co-production of films; growth of an audience to promote the film literacy and arouse interest in European films across a wide variety of events. 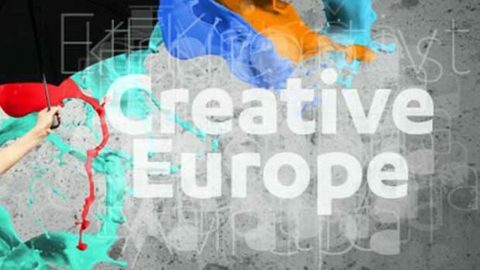 The Creative Europe Desk Italian Desk is the official program in Italy on Europe Creative . Coordinated by the Ministry of Heritage and Culture and Tourism in cooperation with Istituto Luce Cinecittà Ltd. , is part of the network of Creative Europe Desks , appointed and co-financed by the European Commission . The network of the Creative Europe Desks was created by the European Commission to provide free technical support to potential beneficiaries of Creative Europe and to promote the program in each country participant. In Italy the Creative Europe Desk was born from the long experience of the former Cultural Contact Point Italy and former offices MEDIA Desk Italy and Antenna MEDIA and format by CULTURE , head of Sub- Culture , and by the offices of MEDIA Rome , Turin and Bari responsible for Sub- MEDIA.